I will be the first to admit that any medical issue, and particularly cholesterol, can turn into a thorny subject and have rabid recommenders for and against various approaches. I’ve always taken the view that I’ve written a book based on my direct experience of how I reduced my cholesterol and kept it down (see my cholesterol update from this year’s blood tests). I’ve had some varying reviews recently – I don’t mind if people subscribe to a different way, but it’s hard to read someone’s opinion that your book, priced as low as you can while still making a small profit to make up for the time spent putting it together, is a waste of money, for example. My aim with all of my books is to help people. It looks like I’ve helped this person, and that makes me happy! Read the rest of my reviews for this book here and you can visit my Amazon page to find out more, too. 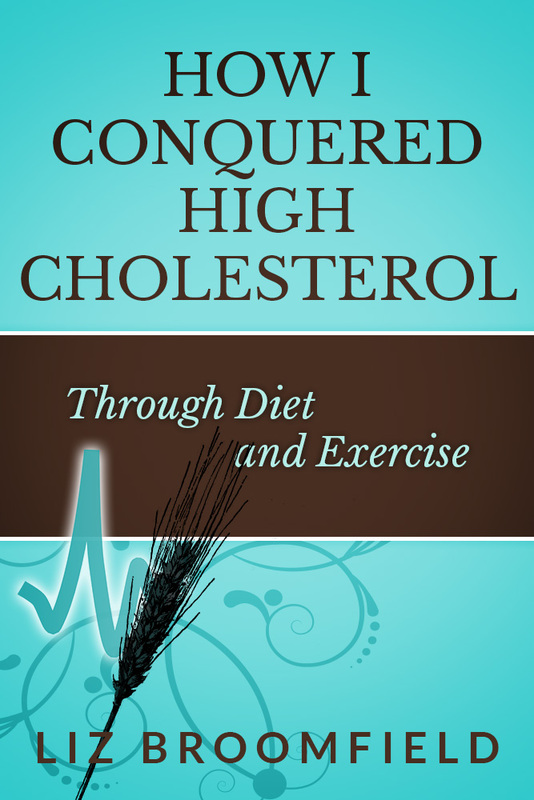 Read more about How I Conquered High Cholesterol, including where to buy, here. A new review has come in for my first business book, “How I Survived my First Year of Full-Time Self-Employment“. I’m so glad that this reader has got the idea that the light-hearted bits on tea and cardigans, etc., are supposed to make it more fun and approachable to read, and I love that they say that it’s inspired their own career – exactly what I wanted to do. Hooray! I get fewer new reviews these days, but every one still counts, even on the books that already have quite a few reviews. So just a reminder that if you read and enjoy a book – especially if it’s by an indie author – it’s always useful to pop a review on Amazon or wherever else you bought it. 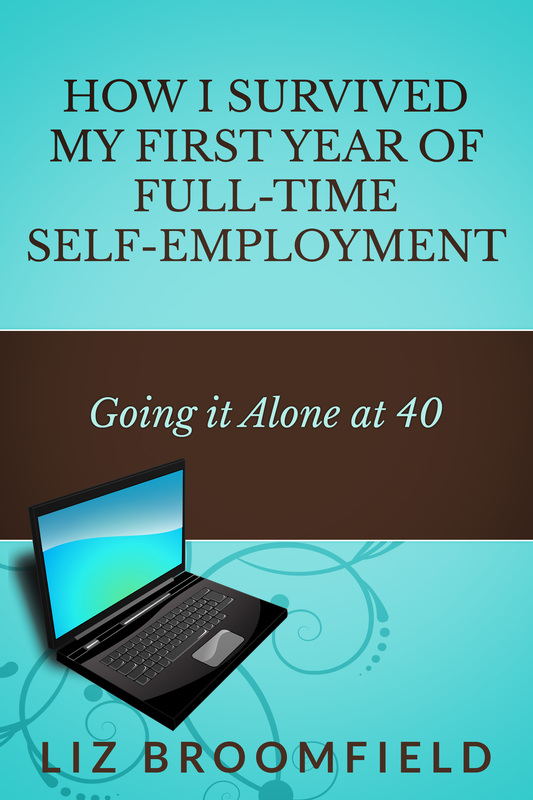 Read more about “How I Survived my First Year of Full-Time Self-Employment” including how and where to buy. I t’s slightly tricky when someone you know reviews a book you’ve written, in that Amazon often tries to suppress these, thinking they’re fakes. But I promise that this isn’t a fake review – it’s a lovely one written by someone slightly less far along the self-employed editor pathway that I’m on, too, and one that certainly made me very happy. As I mentioned in my post about why I wrote my books, this book has never done that well, presumably because I don’t describe it adequately or haven’t done the best marketing angles on it. It’s packed full of useful advice I picked up once I’d got my business going, and is aimed at sharing what I learned and helping people to build their business, make more money, and get a work-life balance that’s acceptable and not exhausting. I found the book particularly strong on how to develop a social media profile. I have read similar articles before, and have generally retired, convinced there is no part for a die-hard introvert out there. Liz has succeeded in convincing me that’s not true, and that you can manage social media, and not let it manage you. … as well as this, of course. This is an accessible and realistic book, which I found immensely readable. You can read the whole review here and find out more about “Running a Successful Business After the Start-up Phase” here. The other day, I was chatting with someone who didn’t know I’d written several books. I found myself explaining why I wrote them … and now I’m wondering why people write their books. So I’m going to share first, then I hope other people will do, too, in the comments. I wrote my first book, “How I Conquered High Cholesterol” for two reasons. The first was that I was diagnosed with high cholesterol, given a really quite unhelpful single A4 sheet by my doctor (which tried to cover the diets of all of the ethnic groups in the UK in one page) and threatened with medication. Once I’d worked everything out and got my cholesterol lower and staying lower, I wrote it all down and added some recipes. The second reason was that as an editor and proofreader, I was working with quite a few people who wanted to self-publish ebooks, and I wanted to see what that process was like from the inside (I used that same reasoning when I later put together print versions of my books). When I went full-time self-employed, I blogged about the process for a year, and then I put those blog posts together into a book, “How I Survived my First Year of Full-Time Self-Employment“. I did that one for two reasons, too. The first was, to be honest, that lots of people were turning blogs into books and I thought it would be easy (it’s not that easy to make it not seem like it’s just a load of blog posts shoved together into a book, by the way). I thought I could produce a side-stream of passive income which would generate itself as I worked on my full-time job, and the books have done that to a certain extent. I did also write it, again, because I couldn’t find many resources covering my specific situation, as a 40-something wanting to dip gently into self-employment rather than risking everything. I also wanted to make it approachable – a book I would want to read, and my readers have appreciated that (even the one who said there were too many cardigans in it …). The subtitle, “Going it Alone at 40” was the original title, another error! I kept on blogging, and I realised I had more to say about running more of a mature business, once you’ve done all the start-up stuff. So I put together the ultimately not hugely successful “Running a Successful Business After the Start-up Phase: Who are you Calling Mature?” I added loads of stuff about social media, websites and how you know when your business is stable and levelling out, then how to build income, etc., and people who read it like it, but I’ve never really been able to explain it very well, I fear, and it lags in the sales department. Then I put these two business books together into “Your Guide to Starting and Running your Business” which I offer at a discounted price compared to the two individual volumes, because I honestly feel that I want to provide this information in the most cost-effective way possible for the reader. I feel very strongly about books that promise much then try to sell you a course with the author: by putting together the omnibus, I tried to provide as much as I could for as little as possible. My next-best selling title after the Cholesterol book, “Quick Guide to your Career in Transcription” came about because I kept seeing lots and lots of searches coming through to my business blog around transcription. I’d blogged a bit on the topic and I wrote more for this guide – including adding a section on ergonomics when an early reader complained that topic wasn’t included! The books I found on the topic were quite pushy and get-rich-quick, so I thought there was room for a no-nonsense and friendly guide along the lines of my other business books. I included some basic information on setting up a business from those book, but tailored everything else towards transcription itself. Showing that you can be too clever, I sprung at the idea of stuffing your title with keywords and put together “Quick Guide to Networking, Social Media and Social Capital“. Oh, they will all search for these terms and come to the book, thought I. Well, again, people who read it find the brief, no-nonsense guide to networking in person and through social media useful, but it’s not picked up the sales I hoped for. Looking to the future, I really want to write a main and quick guide to your career in proofreading and editing. I’m including a self-mentoring guide in that – the reason for that being that a lot of people ask me for formal mentoring and that’s not something I have the resources to do. The self-mentoring guide will then be published separately in a more general version to help people with their businesses. If I cast my mind back over all of these books, the main impetus has been to help people, and to write the book I wish I’d had when I was in that situation. What about you? Why did you write your book? I’d love to know (feel free to include a link to your book in your comment, but I’ll monitor the responses for spamminess so please share your story as well as your link). I had my cholesterol checked just before the Christmas holidays – I have a full set of blood work done every year because of some other medication I’m on, and I ask them to take my cholesterol at the same time, and (very importantly, as we’ll see) break it down into total, HDL and LDL cholesterol. Especially because there have been a few critical reviews of my book on Amazon recently, including those saying that the theory of cutting down on saturated fat which I follow has been disproved (it hasn’t, there are just some new theories), I wanted to share my results with this blog. I fully appreciate that there are different theories about cutting cholesterol, including eating fewer carbs or less sugar, and I have never claimed that “my” way is the only way. Maybe there’s something behind the eating plan that I use that has some kind of effect that’s not to do with fat. All I can go by is the results that I’ve achieved with the plan that I wrote down in the book with the aim of helping other people who hadn’t been given very thorough advice. I was diagnosed with high cholesterol in early 2010 and took steps to lower it naturally which had taken effect by the time I was re-tested 6 months later. As of December 2015, I had total cholesterol of 5.4, made up of LDL (bad cholesterol) 3.36 and HDL (good cholesterol) 2.04. According to the HeartUK website, your total cholesterol level should be 5.00 or less (don’t panic: see below). Your LDL level should be lower than 4.00 and your HDL higher than 1.00 (for men) or 1.20 (for women). So, and this is why it’s important to get the breakdown, although my total is slightly higher than the recommendation, this is because my “good” cholesterol rate is just under twice the recommended minimum, which pushes the total up (you can find all the info in the book, but basically some fats and also exercise work to promote the HDL levels in your blood). What this proves is that over five years on, that’s five years of following the rules I set down in the book, my own cholesterol level came down at the beginning and has remained down. If that hadn’t happened, believe me, I’d be on the statins and withdrawing the book from sale. You can find out more about my book and where to buy it here. The most popular buying links are Amazon.co.uk and Amazon.com for paper or e-book versions, or Smashwords for all formats including epub, pdf, plain text, Sony reader and Kobo. 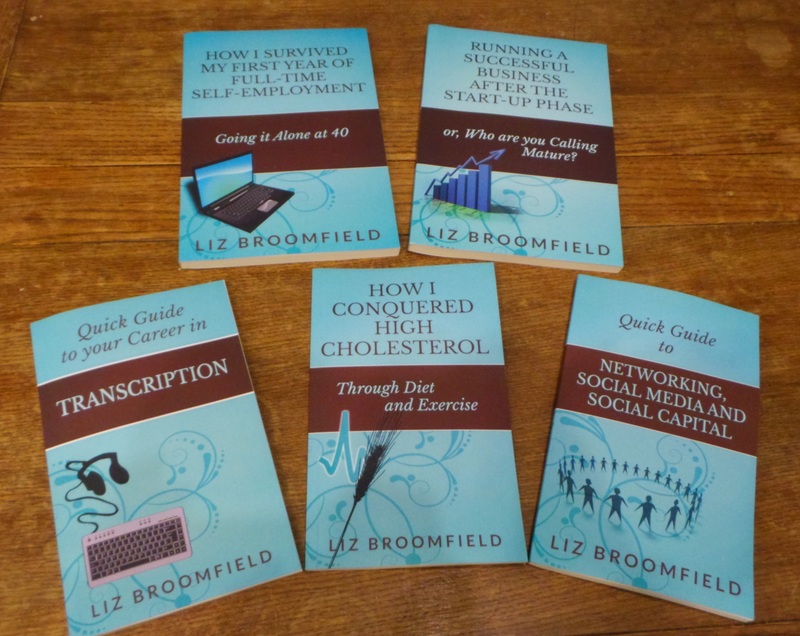 I’m so chuffed, especially after some not-so-great comments on my cholesterol book – I have received my thirteenth and fourteenth five-star reviews for my book on transcription careers! In fact, I do worry that this set of reviews will look fake. People normally have a range of opinions, and my other books certainly have a range of star ratings. But only one of my reviews on this book is by someone I know personally, and she bought it herself and used it for her career, too – it’s just I have lovely reviewers for this one (I did work hard on making the book as good as it could be, too!). Five Stars. Everything you need to know to set up as a transcriber. Helpful tips and advice. The author of the first review has got in touch with me to ask some questions, too – I love it when that happens, and really enjoy hearing how people are getting on and learning about what they want to know next. Especially if you read books published by independents, please do pop a review on your book blog and Amazon, Hive, etc. – it really makes a difference! Find out more about “Quick Guide to your Career in Transcription”. Now available in print and e-book formats. There are lots of “writers and …” out there and I bet some of you reading this are, too. Writing is a perilous full-time career for all but a very few people (statistics bandied around about the average annual earnings of writers suggest anything from £1,000 to £5,000) and also I suspect that it’s not what every writer would actually want to do full time (I know I wouldn’t). I know writers-and-editors, writers-and-carers, writers-and-stay-at-home-parents, writers-and-painters, writers-and-crafters … and hopefully some of them will be along to share their stories some time soon. I’m going to share mine, then it’s over to you! Which came first, writing or “and …”? In my case, everything else came before writing. In fact, I only started writing when I had a medical diagnosis and no factsheets to guide me. That’s why I wrote my book about lowering my cholesterol – to help other people who might be in the same situation. Of course, I’d been busily writing blog posts and the like for a while, so it seemed natural to turn my blog about my first year of full-time self-employment into a book (it’s not actually that easy to just “turn a blog into a book”, it turns out, but I created a book in the end). I then went on to write other books for freelancers, because, again, I didn’t find that much useful information for the type of freelancer I was becoming – and reviewers still talk about these filling that gap in the market, so it seems that writing for yourself can be a handy type of writing to do! How do I introduce myself at parties? Do I feel like I’ve got a double identity? I do have an actual double identity now. I got married relatively late in life, and I’d already written several books under my unmarried name, Liz Broomfield. So I decided (mainly because I was too lazy and mean to get all the covers and uploaded versions changed) to stick with Liz Broomfield for the author side of things, while becoming Liz Dexter for my Libro business and in the rest of my life. This has been a bit confusing and led to a lot of explaining (although that’s helped my search engine optimisation, and if you search for Liz Dexter on Amazon you do find most of my books anyway), but it felt like the right choice at the time. 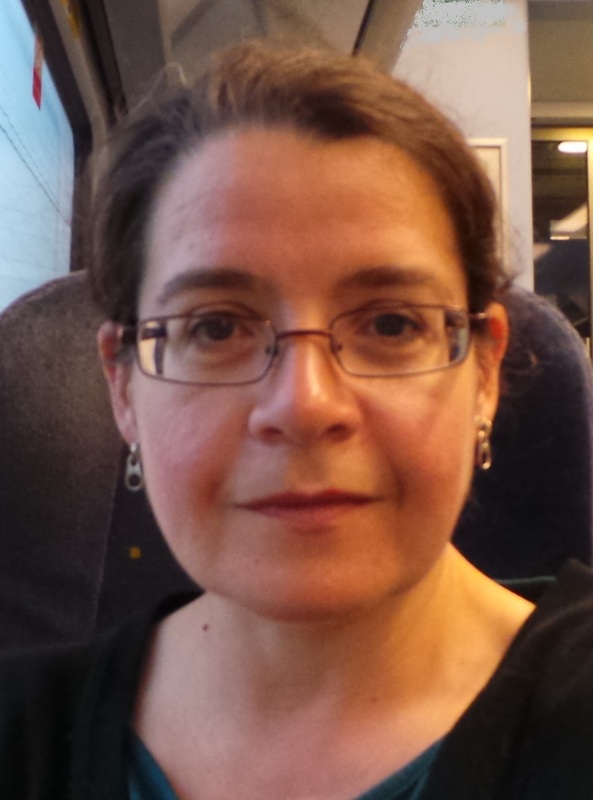 I also have three blogs – Liz Dexter’s Libro one for my “professional” blog (by which I mean by editing, proofreading, transcription, tips, business ideas etc. blog and website), a book review one which is also Liz Dexter-based now, and this separate one for my books. Again, I’m never sure, to be honest, whether that was a good idea, but it’s done now! How do I fit the two sides of my life in? This is a tricky one – I’m notoriously bad at setting aside time for writing. When I do, I usually book out a few solid hours for book work. Unfortunately, what I like to refer to as “paid work” does come first, so I have to work hard to carve out those few hours. I could do better with this, and I’m considering booking a week of “holiday” with myself and my clients to get some projects finished. How has writing affected my other job? I work with writers in a lot of my “day job”, and I can honestly say that the writing and particularly editing process, and the fact of being out there in the world as an author with books to sell, has had a big positive effect on my work. Being edited is hard, and having been through the process (with a lovely editor, I hasten to add) made me make a big effort to be super-kind in my own editing work – I know how disheartening it can be to have your work pulled apart, however kindly and necessarily. If I could say one thing in this blog post, it would be that. Would I prefer to be doing one or the other? In my case, I can honestly say no. I am trying to do some research as well, and sometimes I wish I could ONLY do that for a bit, but I don’t think I could sustain a full-time writing life, and I like the contrast between writing for my blogs, writing my books and doing the other stuff I do. My books can be found on this website (just follow the links in the menu) and are all on Amazon. I’d love to know what the “and …” is in your life! Why don’t you drop me a line with your answers to the questions, and I’ll publish the best of them on this blog. I’d particularly like to know how you manage the two sides of your working life, as I know I’m bad at that! Do you feel like you’ve got a double identity? How do you fit the two sides of your life in? Would you prefer to be doing one or the other? Don’t forget to include a portrait of you, if you’d like one displayed, and the URLS for your website and book links. Send me your answers via email or get in touch via the Contact Form. And happy writing and “…”, whatever you do! I was a bit down after finding the extremely negative and misguided review on Amazon for this book, but felt better after I’d written it all down. I then had a lovely comment on that post, lots of views of the post and likes on social media, and made a couple of print and e-book sales, which cheered me up. Best of all, a five-star review (and not from someone I know just being kind, which I thought might happen) appeared on the book, pushing the mean one off the Most Recent spot and keeping my average score up. Hooray! Oh, and I did get a reply to my comment on That Other Review which started to talk about the regime not being suitable for diabetics or people with an intolerance to oil – I never claimed it was, and that made me think the review was more about finding something to be negative about than true disappointment and concern, so that’s good, too. So, all good, and thank you to the people who took the time to read my last post, comment and bolster my spirits! And this autumn I AM going to finish writing my version of my business books for editors / proofreaders and publish my self-mentoring guide as an offshoot of that, so watch this space (might even do a newsletter again soon). Cholesterol book details are here. I’ve recently had a very negative review on this book on Amazon UK that says this book goes against current medical advice and thus is worthless. I did call the book “How I Conquered High Cholesterol”, and the reason for that is that I was aware even at the time of writing that there were different opinions on what brought down cholesterol. I know that what I did helped me, bringing my own cholesterol level down and keeping it down since 2010 (last tested Christmas 2014). I did that naughty thing you’re not supposed to do and replied to the review on my book, because I was concerned that prospective readers were going to think what I have written about is dangerous or horribly outdated. I’m not sure what that will do. I would love it if more people who have bought this book and found it useful wrote reviews saying so, but that’s up to them. Please note: there are many different opinions on what dietary efforts can lower cholesterol. The reason why I wrote this book was that the regime I followed worked for me, in bringing my cholesterol levels down in 2010 and maintaining them at that level from then until now (currently five years). This won’t suit everyone, and medical advice does change – this outlines just one option, I recommend here and in the book that you seek medical advice, and I appreciate that this is not the only option presented in the media and in medical advice. This is simply what worked for me. I hope this will reassure people. And I’d love to know what other writers have done when the entire underpinning of their (non-fiction) book has been criticised as I’m sure I’ve got a lot to learn (like not replying to reviews: I need to learn that one). You know what? I really am going to have to take the bits about tea and cardigans out of the new versions of my books specifically for editors and transcribers … although then what would people have to write about in their reviews? This reviewer has also been in touch with me for further information – I, like all authors, I’d imagine, love it when that happens. It’s all been either nice comments or questions, so far, however! Anyway, there were some lovely comments in this review, and I really appreciate all reviewers who take the time to publish their thoughts on my books! If you’ve read this one, what do you think? Should I take the tea and tracksuit bottoms out of my new omnibuses or tell it how it is, fleece and all?